There’s a lot of rage and speculation as to whether oils can help give you clear skin. So let’s take a look at whether there’s any truth in these natural remedies and if so, which ones are the best oils for acne. Argan oil is a natural plant oil extracted from the kernels of the argan tree. The argan tree is near extinct and is only found in regions of Morocco; hence this oil is fairly rare which is reflected in its price. While in Morocco, Argon oil is used to add flavor to food dishes, in the rest of the world it has gained fame as an ingredient in skin care and beauty products. It’s said that applying the pure oil to your skin is highly effective as a moisturizer and can lead to clear and even radiant skin. What’s more, the vitamin E and essential fatty acids have some serious healing powers when applied to the skin; especially in combination with it bactericide properties. There are even some claims that it can resolve irritation and inflammation on the skin due to polyphenols and antioxidants, which again would be excellent for acne sufferers. In fact, the more we investigated Argan oil, the more impressed I became. There’s even talk that it can lead to regulating sebum; in turn leading to reduced blemishes, due to the Essential Fatty Acids contained in it. While some of these claims made by sellers of this oil seem a little excessive (ranging from anti-aging properties all the way to fortifying of your hair); from our research, while nothing has been conclusively backed by scientific studies, it certainly seems like an incredibly skin care ingredient, worthy of testing out. The main reason it comes with a recommendation to test it out is that we’ve come across many, many satisfied users, testimonials and positive reviews. Such feedback from customers just can’t be ignored in my opinion. If you are going to test it, go with the best quality, and make sure it’s a 100% pure Moroccan Argan Oil without any additives. Also, it’s advisable to thoroughly cleanse your face before applying this. It can then applied twice daily, and a very small amount on the affected areas should suffice. It’s also advisable to go for a product where the kernels have been cold pressed to ensure you get the highest-grade oil and therefore the best results from using it. As far as home remedies for pimples go, tea tree oil seems like a pretty good option. This essential oil is obtained from the leaves of the Melaleuca alternifolia; an Australian plant. In case you’re interested, it’s called the tea tree because it was originally used as a substitute for actual tea prior to all the other benefits being discovered. What’s made this ingredient so popular lately is its natural antibacterial properties. This oil is said to have a component called terpenes, which has some serious bacteria-fighting abilities. The disinfecting properties can therefore contribute to clearing up blemishes. Moreover, it helps with clearing the sebaceous glands and drying out spots. Another benefit of using this tea tree is that is will not remove natural oils and damage your skin even more like many other spot treatments. Despite this, for some people, this undiluted solution will be too harsh for their skin. If you feel it’s drying out your skin too much or causing any issues such as itching, you could dilute it with some aloe vera gel or some raw natural honey. Check out our homemade remedies for acne to give you some ideas on how to combine this ingredient with other natural spot fighting ingredients. Alternatively, you could even add it to a homemade face mask to increase its effectiveness. I even read a suggestion online to add a few drops to your bath; which seems to have lead to some positive results for a few people. So the possibilities of how to use it are endless. Having said that, bear in mind that it’s not edible, and should therefore not be taken orally and only used topically. Despite all the rage, there isn’t too much substantive scientific evidence that whether it’s effective or not. There is some scientific research on this topic, which gives it a little more credibility than other natural cures. But this shouldn’t necessarily stop you. There’s some very good feedback online from people using this as a natural remedy for spots; so it might be worth a try. Jojoba oil is extracted from the seeds of the jojoba tree (also known as Simmondsia chinensis for those of you who know Latin!). The name is a little misleading as it’s more of a liquid wax than an oil, which has some similar properties to the oil on your skin, namely sebum – making it much more effective. It also has a surprising nutty odor. Jojoba is said to be a gentle and natural treatment and is a non-comedogenic, which means that it moisturizes and cleanses the skin by removing excess oils but doesn’t strip the good stuff out. While the Internet is full of success stories and really good reviews, the big problem again is that there is a lack of scientific evidence to back up the claims made by manufacturers. There is some research to support that it may help however, especially due to its anti-inflammatory quality. 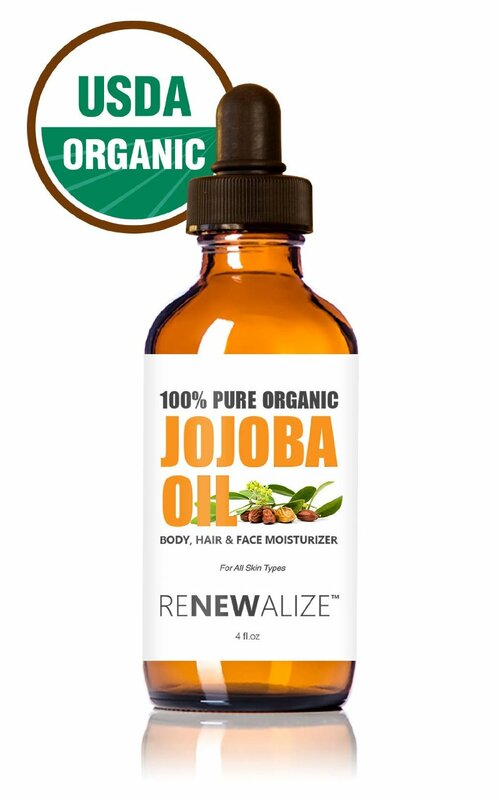 If you are going to try jojoba, buy a 100% pure and natural, cold-pressed version with no additives. Organic is always better to avoid things like pesticides on your skin. You really need to go with high quality for optimal results. It might cost a little more, but it beats a useless remedy. You can apply this botanical extract to affected areas a few times a day after thoroughly cleansing both your face and hands. You can also use a cotton swab for easier application. Unless you have any undesirable side-effects (in which case stop immediately) continue applying the wax for a few weeks. If you want even better results, you could mix things up a little. It’s frequently mixed with other home remedies for pimples such as tea tree oil, which is a natural antibacterial, to create a more powerful solution. If you’re mixing these two, use a ratio of 1 to 5 (so 1 small spoon of jojoba, 5 drops of tea tree). This one has a crazy name, ready for it? Calophyllum inophyllum – but we’ll stick to Tamanu for simplicity’s sake. Originally from Polynesia, the oil is cold-pressed from nuts from the Calophyllum inophyllum or Calophyllum tacamahaca tree. It’s most known for its ability to heal damaged skin, and there has been a fair amount of research to support its effectiveness. Tamanu oil is an effective topical healing agent with antimicrobial and antioxidant properties all able to reduce blemishes. The real benefit is that the oil is able to penetrate your pores and work its magic deep inside the skin. Tamanu has astringent properties which in effect can dry out a pimple, but bear in mind, if you have sensitive skin, this could lead to some redness or flaking of the skin, which could do more damage than good. So ensure your face is sufficiently moisturized and you limit the amount used. As with the other natural remedies on this page, it might be even more beneficial to use in combination with another home spot treatment or even an over the counter cleanser before applying the tamanu oil. As with all the information on this website, please note that it is for educational purposes only and that advise from a medical professional should be sought should there be any concerns. Sea buckthorn is a herb, of which various parts, such as leaves and flowers are used to make all kind of herbal remedies. Recently, it has been claimed to be a great skin care product, especially in terms of its anti-aging properties. But some claim it is a great spot treatment as well. The so-called sea buckthorn oil acne cure gained fame after being mentioned on the Dr. Oz show. So let’s have a look at whether there is any foundation for all of these claims. Sea buckthorn is said to be a great source of vitamin C and vitamin E, and antioxidants, all used in many skin care treatments. Moreover, its anti-inflammatory and antibacterial qualities can further help in preventing and even resolving outbreaks and blemishes. The exfoliating properties can add even further benefit. My main issue with this recommending this ingredient is the lack of proof of its effectiveness. Since not much research has been done on omega-7 fatty acids, it’s unclear whether using this will help in any way. But this doesn’t mean it’s not effective, it merely means that there is no concrete scientific evidence. The reason it deserves a spot in this list is due to the many positive reviews, feedback and recommendation I found online. Some call sea buckthorn oil the new miracle in a bottle; others say that this is the only thing that ever worked for them. There are some others stating that it didn’t effect them at all. Still I’m impressed with what I found so far online and the fact someone wrote a review on Amazon starting with “This oil has been a miracle for my Rosacea” is quite an endorsement. Others call it the first Rosacea treatment that actually works. So even though on scientific facts I’m not fully sure, I think it’s worth checking out just due to the many happy users. As a final thought, it is recommended to only use this topical and not taking it internally to avoid side effects. If you are going to try seabuckthorn berry oil, go for organic and one that is completely free of chemical preservatives. Rose hip seed oil is extracted from the seeds of a wild rose bush (Rosa moschata or Rosa canina). While roses are generally known for their romantic qualities, they do have medical properties as well. For example, rosehip oil contains vitamin C and provitamin A, a proven vitamin effective from healing skin. The big problem with rosehip oil is that it can actually trigger a breakout, instead of resolving it. So it’s best used every other day instead of daily. So I’m in two minds to even mention this product. It seems to be more effective in healing acne scars than the actual outbreaks themselves. Rose hip is high in essential fatty acids, lycopene and has antimicrobial qualities. It has received a lot of publicity due to its effective treatment of scars and treating wrinkles; and it’s hydrating effects. There are a lot of conflicting messages as whether it’s gentle or not to the skin. Due to its strength, it might not be the best solution for you to use, but there are some people who have seen a huge benefit from rosehip. If you are going to use it, be careful to limit the amounts and don’t keep using it if it’s causing you any issues. Also, there are reports that using it can make you more susceptible to sunburn so avoid wearing it on areas exposed to the sun. Overall, it seems to be the least effective of all the oils I have reviewed so far, and it’s probably best to try one of the more effective ones if you’re looking for the best results. If you do want to try, it might be a good idea to consult a dermatologist to make sure your skin can take it. By the way, this is always advisable with any of the treatments mentioned. This one is unique from the fact that it’s not from a plant. 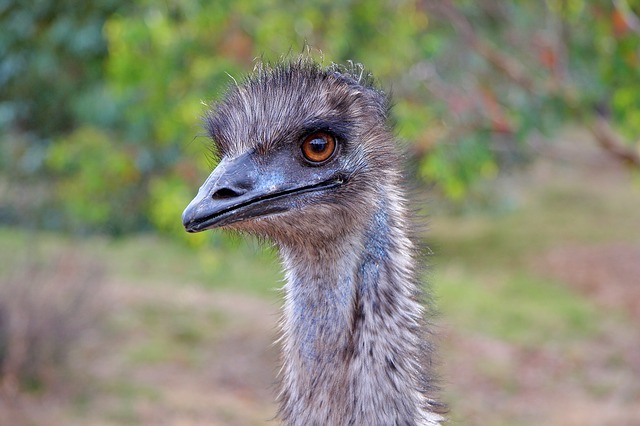 An emu is actually a flightless bird, and emu oil is taken from its fat. Aboriginal in Australia have been using its healing powers for a long time. I do mention it though as this one is not suitable for vegetarians, or someone who only wants to use pant based extracts on their body. Emu oil contains fatty acids that may reduce inflammation and thereby redness. This is made more powerful due to its moisturizing effects. Emu is effective in its capacity to penetrate deep into the skin and working its bacteriostatic properties at a level where its much more effective. On top of that, it doesn’t clog pores, and is non-greasy. This is important as further irritation can make our face look worse. There are also reports that using it reduces some of the discomfort associated with rosacea. There is some evidence to support its healing qualities, but in terms of concrete scientific evidence to support claims that it’s a cure for spots, there just hasn’t been enough proof. Like with some of the other products reviewed here, despite the scientific proof, there are a plethora of reviews out there supporting its effectiveness. This is a reason why so many of these natural remedies do not have their claims supported by the Food and Drug Administration. But if it’s working for so many others, it might very well work for you. If you do some further research you’ll see some people swear by it, some people say it makes their face look even worse. The only way to be sure it works for your specific skin type is to try it you. If you are going to test emu, make sure you use a 100% pure version, with no additives. Emu oil needs to be applied topically and you should follow the directions on the bottle. This usually is applying it thinly and frequently. As scientific names go, Leptospermum scoparium sounds pretty effective, but let’s see whether it actually does work. The natives of New Zealand have been using the Manuka tree to heal all kinds of ailments and the healing properties of manuka oil have been documented widely. This natural remedy is confusing, as there seems to be a balance of people swearing by its effectiveness and others saying it doesn’t do anything or even make their outbreaks slightly worse. Manuka oil is said to help due to the antibacterial qualities that can reduce bacterial growth, while the natural moisturizing qualities help the skin stay hydrated. I will keep this short, as it’s actually very similar to the tea tree oil I reviewed earlier, but it is milder so is a better alternative for people with a more sensitive skin. Manuka honey is also a great natural remedy for spots, which might work even better than the liquid version. While it might not sound very pleasant to spread fish oil on your face, this is one of the few that can be taken orally instead of topically. Fish oil contains high amounts of omega-3 fatty acids, known to reduce inflammation. There is yet to be any conclusive data to prove that fish oil can cure your outbreaks, but there is some evidence that it can contribute greatly to reducing the effects. A study has even shown to decrease the severity of blemishes after taking these supplements for 3 months – this of course is a fairly long time to wait for results. There’s also some research suggesting that fish oil could decrease hormonal acne in women, but more research is needed to support this theory. There are also some rumors that that taking these supplements can actually increase blemishes, but again, support for this is minimal. If you prefer not to take supplements, you could of course eat more fish. High amounts of fish oil can be found in anchovies, mackerel, trout, salmon and tuna. For vegetarians, omega-3 fatty acids are also found in seeds and nuts, such as flaxseeds and walnuts. I would personally recommend adding these natural and healthy foods to your diet especially seeing the fact that the body does not produce its own omega-3 fatty acid, but if that’s not an option for you, taking omega 3 supplements can be a good alternative as well. Apart from helping improve your skin, there’s a plethora of health benefits associated with fish oil – so even if it doesn’t help with spots, it can make you healthier. 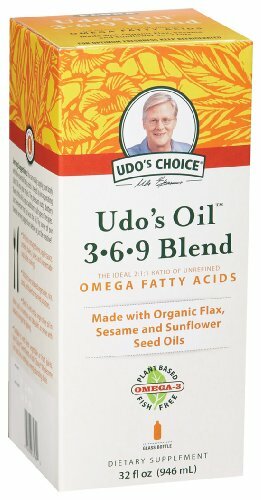 One other alternative is Udo’s oil, in particular Udo’s Choice Oil 3.6.9 Blend which is specially formulated with only the highest vegetarian ingredients to deliver the optimal balance Of Omega-3 and -6 Essential Fatty Acids. I have personally used this product and while it tastes horrible, it does have many scientific arguments that make sense to me. The taste by the way can easily be hidden by adding it to some food. Just don’t heat it! This alone won’t solve your skin issues, and you might need to combine it with another solution on this website, but it will certainly get you a step closer to having the perfect skin you want.